Some readers may have heard the following before but we often find that a reminder never goes astray. Not only does Summer bring good times but it also brings some dangers for your pets. Ticks are back. We are seeing huge numbers of pets affected by paralysis ticks and prevention truly is better than cure. There are many products available from vets that help combat paralysis ticks, however none is 100% effective. The best way to help keep your pet well is to use a product registered for use against paralysis ticks in conjunction with daily tick searches. With the best will in the world and with the best prevention program you may still find your pet affected by one of these nasties. 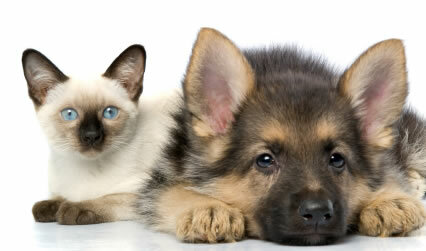 If your pet is wobbly, has a change in voice, vomits or gags or you notice a change in breathing, call us immediately. Early treatment is always best. Snakes are also an issue at this time of year. As the weather warms up, snakes become more active and your pet is more likely to come into contact with them. Again, like ticks, early treatment is best. Fleas are a common problem that many people associate with summer. Unfortunately, in this part of the world fleas are a year round issue although they do cause more problems in summer. The fleas that you see on your pets really are just the tip of the iceberg with a much larger population hidden away in the environment. An integrated flea control program is the only way to go, including products with fast knock down of fleas and some effect on the environmental load. We can assist you in tailoring a program to suit your pets. Another danger associated with hot weather is heat stroke. Pets are prone to becoming over heated. Heat stroke is a dangerous condition where the body temperature rises to such a degree that organ damage may occur. To help avoid this, don’t leave your pets locked in a hot house or car, provide plenty of shade and cold water and try to avoid exercising your pets during the hottest part of the day. Summer food also can pose problems for animals. While we like nothing better than a serve of onions off the BBQ or a slice of plum pudding after Christmas dinner, many foods which are fine for people pose threats to animals. Dried fruit in Christmas cakes and puddings, fat from the Christmas ham, chocolate and onions from the BBQ are all no-no’s as are all the usuals such as cooked bones. The best way to avoid problems this summer is if in doubt, don’t feed it to your pets. Summer is not all bad though. It brings lots of opportunities to do fun things with your pets. How about a trip to the river for a swim or a day at a dog friendly beach? Many places will let you take dogs on holidays with you; you just have to look around. If your pet does succumb to one of the summer pitfalls, please don’t hesitate to contact us on 3202 7300 to discuss any concerns.